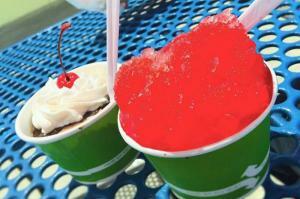 Eskamoe's Frozen Custard is your spot for a tasty frozen treat! 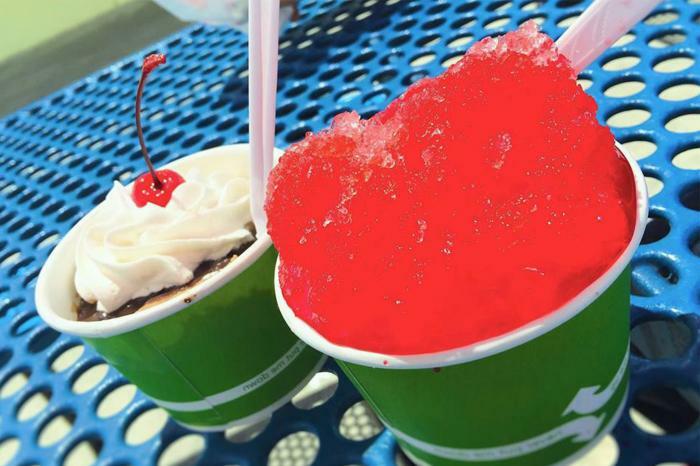 They're serving up frozen custard, concretes, scoops and cones, shakes, smoothies, shaved ice, and so much more! 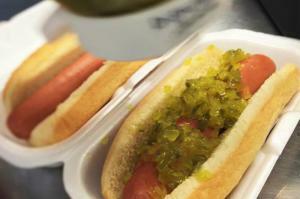 Food items available are nachos, hot dogs, Frito pies, and soft pretzels. Four-legged friends can even enjoy a Scoopy Snack - a dog treat served over a scoop of vanilla custard. View their online menu here. Eskamoe's is located in North Village Plaza along with other dining options and a children's playground.